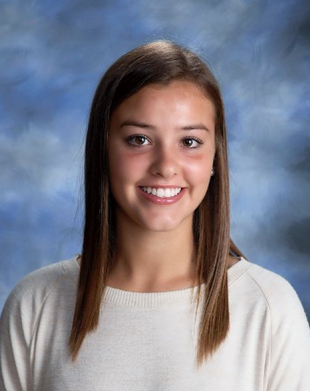 Claire Hylton, a senior at LHS, is our person of the week. Hylton is involved in numerous activities here at the high school and is an outstanding student. She always has a positive outlook and is a perfect example of what it is like to be a Ranger. I had the opportunity to sit down and chat with her about her time at school and future plans; this is what she had to say. Q: What has been your favorite thing about high school? A: My favorite part about high school was being involved in a multitude of different activities and meeting people I will be life long friends with which has created countless memories that will last forever. Q: What awards have you received? A: I have received two SWC Scholar Athlete awards, SWC Honorable Mention, SWC First Team All Conference, Sportsmanship award for basketball and soccer, and MVP for soccer. Q: What were you involved in at the high school? A: I have been involved in basketball, soccer, and softball; as well as Key Club and National Honor Society. A: My future plans are to attend Ohio University in an undecided field at the moment. I am very excited to see what the future holds. Q: How does it feel to be apart of the Lakewood Community? A: It feels awesome to be apart of such a diverse and welcoming community, I always feel proud to say I am from Lakewood!